Goal Oriented Classes Book A Class FAQ Get to know us! 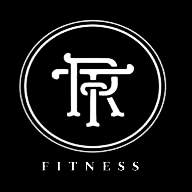 RPT Group Fitness is personal training in a group setting. Group fitness creates a sense of community and motivates individuals to push past their limits. Personal Training gives you the attention you need to not only set specific goals, but the accountability needed to achieve them. Our Goal Oriented Classes will allow you to take advantage of all the benefits of group training and personal training at the same time! At RPT Fitness we strive to help you reach your goals, have fun and always leave feeling like Royalty. Book your class TODAY! When we say we want you to feel like royalty, we mean it. Woodway treadmills, water rowers, and hand-picked playlists are just the beginning. We've teamed up with Deco Lighting™ to enhance your mood, motivation, energy and focus. That's right, we're taking care of your body and mind! We want to be sure you leave us feeling your best and ready to take on the rest of your day, whatever it may hold.